So this is Christmas. The time of year where we all eat far too much, drink far too much and buy far too many pointless gifts for friends and relatives. In short, it's the most wonderful time of the year. 2018 has been quite a year in the world of Nintendo, so this festive season offers the ideal opportunity to sit back and mull over some of the biggest events of the past 12 months. We've seen some utterly amazing games (both retail and on the eShop) as well as the launch of the Switch Online Service, the latter of which has gifted us a selection of NES classics which grows bigger each month. The continued commercial success of the Switch is encouraging, especially after the barren years of the Wii U, and Nintendo is once again on the tip of (almost) everyone's tongue in the realm of interactive entertainment. Third-party publishers are waking up to the potential audience on Nintendo's hybrid console, and we're seeing the Japanese company extend its reach in other forms of media, including the world of movies. But all of that is a bit boring when you consider what being a gamer – and a Switch owner – is all about this holiday season. The Switch is the ideal console to have in the house when you've got family and friends visiting; not only does it offer plenty of spare controllers thanks to the unique design of the Joy-Con, but you can play it on any flat surface – so when the TV gets taken over by the traditional Christmas movie, you can relocate your gaming activities to the dining room (assuming the food has been cleared away, that is). We'll be making sure we indulge in a spot of Mario Kart 8 and Smash Bros. Ultimate with the extended family this year, but before we wipe the floor with our nephew on ARMS and humiliate grandma on 1-2-Switch, we'd like to take the time to thank each and every one of you for your continued support this year. Nintendo Life may be over a decade old but, in 2018, it has enjoyed one of its most successful years yet. We couldn't do what we do without your support, and the entire Nintendo Life team wishes you (and yours) a very merry Christmas indeed. Christmas morning and I'm already checking Nintendolife. Happy Chrimbo y'all! Happy Holidays, be safe and have fun. Merry Christmas to Nintendo Life, and the readers/viewers! Merry Christmas everyone! I hope you all have a great day! Merry Christmas. I got Pokemon let’s go pikachu! Merry christmas to all! Hope you all get to enjoy this christmas day (or 2 christmas days depending in where you live)! Merry Christmas to everyone and get as many games as possible. I will. And I'll increase my backlog even more! Well, my son is well and truly lost in Pokemon Let’s Go: Pikachu (which he opened this morning). It’s quite magical experiencing his joy and remembering what it was like when I was a child. The great thing is we can take the Switch to Grandmas house where we are spending most of the day. So he can keep enjoying his game and hopefully will let his cousins join in! Nintendo makes the Holidays happy. God jul, as we say in Swedish! The word ”jul” is going way back, to pagan times when christianity still hadn’t got its hold on our part of the world. Edit: And Christmas Eve (julafton) is our big day of celebration with presents and food, while Christmas Day (juldagen) is more important in for example UK and US. It's time for some Drum n Fun Taiko no Tetsujin style! Also thanks Nintendo for my nes joy con, arriving Christmas Eve was a stroke of genius! Merry Christmas everyone! Looking forward to some ‘friendly’ games of Smash. Thank you guys so much, and merry Christmas everyone ! Now if you'll excuse me, it's time to begin smash ultimate ! Merry Christmas to all of you guys as well!!! I’ll be playing all the games i got this year!!! Merry Christmas everyone, have a restful holidays and a prosperous 2019. "Eat, drink, and play some Switch" best instruction ever... Have yourself a merry little Christmas! @Milton_Burle Good call. My grandparents love your comedy. Why am I checking this site Christmas morning before I've even opened my presents?? 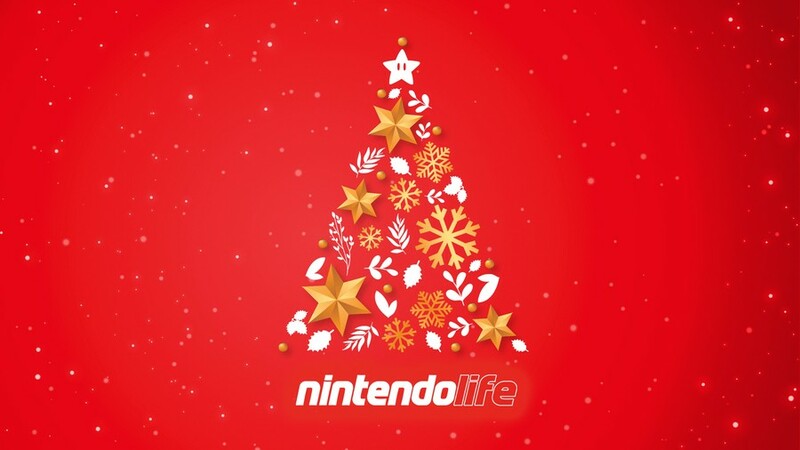 No matter, Merry Christmas to all members and staff of NintendoLife! Full on with kids presents (building lots of Lego) through the day. I hope to sneak in some Smash before bed. For all of those alone and without families I hope you guys are enjoying it the best you can and happy. Happy holidays everyone! Hope ya`ll (specially those who get depressed during such days) have a Nintendo filled day! I`ll be playing Civ VI and other games to make this a fine Christmas! A Merry Xmas to everyone. My parents bought me Mom Hid my Game, my mother spotted the article on NL. I went to go play it there but I can't find it. Merry Christmas y’all, from Bali. Merry Xmas everyone! Hope you're having a swell video game related day. If you haven't already in the past, please add this little digital present to your stockings. Literally my Christmas! My little cousins brought their switches around so they were constantly inside playing smash and Mario Kart. While I drank and went knee boarding lol and then also joined in with Mario Kart. Merry Christmas Nlife!! Happy Christmas to all staff, contributors and readers! Have a brilliant day. I already know of three more new members of the Switch family! Have a good one, take care. Merry Christmas everyone, hope you all have a fantastic day. i shall be enjoying Crash n Diablo 3 a little later. Merry Christmas to all nintendolife army's and all gamers that leave comments. Eat, drink and play some Wii U! Thanks, and merry christmas to all of you NL staffers. You get a lot of negative comments thrown your way, but I (and most of the reader base?) really appreciate the (free!) site, and visit several times a day. Merry Christmas everyone! Or, blessings to you for whatever you and your family celebrate. I decided to get my older brother (41) a NES Classic for Xmas on a hunch he may love the nostalgia of Nintendo. He's been playing all afternoon! A new video game memory made. Thanks Ninty. Merry Christmas to all staff, contributors, freelancers, and the readers here! Eat, drink, and be merry as you celebrate! I hope this message finds you and yours in happiness and good health! Have a Smashing Christmas, everyone. Merry Christmas everyone!! I’m busy guiding Manuel Calavera through the Land of the Dead right now, but I’ll be on Smash later on. Maybe I’ll organize an arena, keep an eye on the Smash thread. I'm late to the party - "Europeanly" speaking, at least - but I wanted to chime in this one time (the Switch eShop's insane holiday discounts really did a number on my spare time...) and share with all of you my best wishes for a Merry Christmas - or happy 25th of December if your faith, or lack thereof, happens to differ from Christianity - on my, my girlfriend's and my entire family's behalf. That sounded too serious. Leave it to ITeachVader to spice things up and keep my comment in line with my track record. Merry Christmas, Super Smash Bros for me today making me a very happy bunny. @Shiryu This ain't a classified ads section, stop being a jabroni. @marccarran 1) I'm staff. 2) Free music that took me a lot of work to do back in 2015. ...jabrony!? Them fightin' words sir, and it be Xmas! Thanks! !, and Merry Christmas to ALL!! Merry Christmas all you gamers!! Too bad we only have limited time off from work to enjoy the holiday game onslaught!! Merry Christmas you filthy animals and a happy new year! Merry Christmas and Happy Holidays, Nintendo Life. I visit your site AT LEAST once every single day. Thank YOU for up to date news, comical articles, and relentless puns. Merry Christmas to all NintendoLife staff. Thanks, as always! Hope everyone had a Merry Christmas and may you have a Happy New Year. Now back to Splatoon, Hyrule Warriors and Xenoblade Chronicles X.
I hope everyone had a wonderful Christmas full of whatever makes you happy! Merry Christmas! Thanks for the post. Merry Christmas everyone! Merry Christmas to everyone! Especially the awesome people on this website! Merry Christmas, NL! Thank you for all the great work you fine people do. Here’s to another great year for Nintendo and NL in 2019. I know it's late, but Merry Christmas everybody! Yesterday my 3-year-old son played his first video game totally unaided: Soda Shake on 1-2 Switch. It was totally awesome! 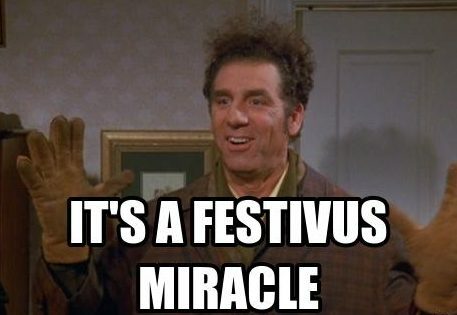 Enjoy the last couple days of 2018 before its fall! Merry Christmas nintendolife! My switch was the most used of my consoles this Christmas. I finally unlocked all the Smash characters so my nieces and nephews could play as their favorite characters. I also took it to my sisters house for her annual Christmas Eve party so we could play the newest jack box game with the adults. What a flexible little system it is. The sales will ruin me! Leading up to Christmas I got Pokemon and Smash; then Doom and Wolfenstein were on sale and I couldn't decide which to get so I bought both. Then I picked up Grim Fandango and Yokus Island on sale. Now I'm tempted by Hollow Knight and Fire Emblem Warriors. Belated happy holidays and a very happy New Year's from a proud new Smash owner. Thanks for everything and God bless.